ahhh, palawan, you were magic. simply magic. sadly, because we spent so much time on or near the water, i wasn't able to take as many pictures with my camera as i would have liked (digital camera + water is not a good combination - i know from experience). that being said, palawan has so much overwhelming natural beauty, it was impossible to leave without some wonderful images. our first stop in palawan was a firefly tour - after dinner our first day, we boarded small bangkas and floated serenely down a river in the dark, until our guide turned on a tiny red flashlight and the trees along riverbanks lit up like christmas trees in response. there were millions of fireflies living in the trees, and when they all lit up at once in response to the red light, it was stunning! the next day, we drove at sunrise across the island to the town of sabang - through some of the most beautiful tropical mountains i have ever seen - to explore the puerto princesa subterranean river. this unesco site is only accessible by two boat trips, and due to high waves in the week before, the trips had been cancelled for several days prior to our arrival and so the docks were busy. our wait for the boats gave us plenty of time to explore the waterside markets and towns, which i didn't mind. the entrance to the underground river cave was surrounded by philippine macaques, which have become so used to tourists that they are incredibly bold. one even jumped on andrew's back in an attempt to get into his backpack - wish i'd caught that on camera! the underground river itself was interesting, but my favorite part was seeing all the different kinds of bats that live in the cave - there are 8 different species all living amongst each other! 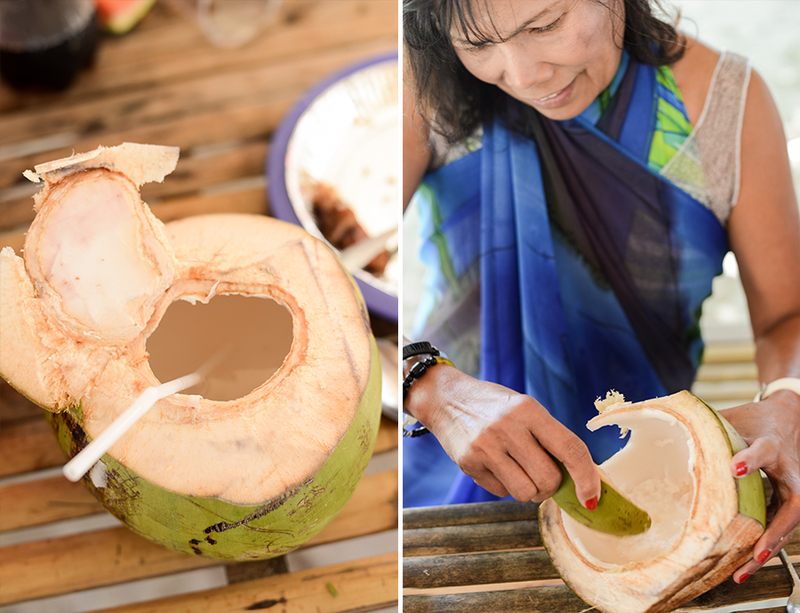 for our last day in palawan, we hired a bangka to take us island hopping in honda bay - gorgeous islands, water and scenery, a delicious lunch with lots of fresh coconut, and swimming and snorkeling galore. i was in heaven. the beautiful island of boracay is up next week and find the first a-wandering wednesday, in batangas, philippines, here!